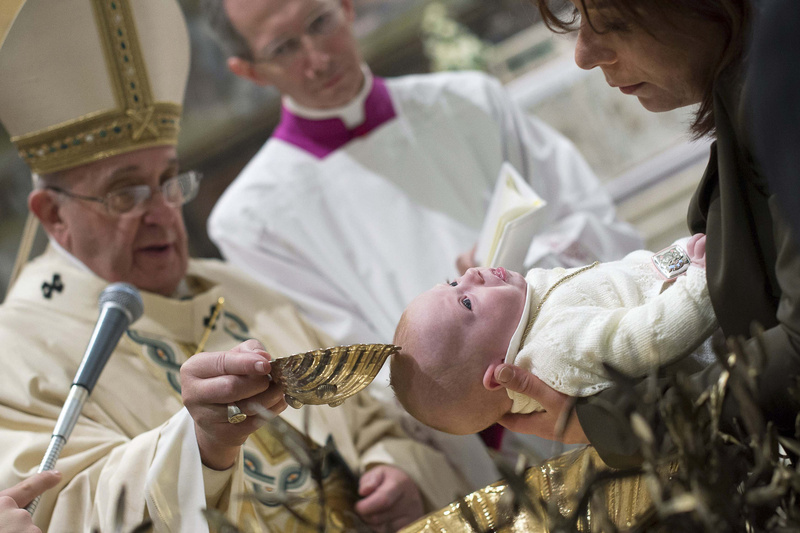 The pope said that many times, women who announce their pregnancy are fired from their positions, when instead they "must be protected and helped in this dual task: the right to work and the right to motherhood." "The challenge is to protect their right to a job that is given full recognition while at the same time safeguarding their vocation to motherhood and their presence in the family," the pope said Oct. 31 in an audience with the Christian Union of Italian Business Executives. Catholic men and women in the world of business are called to live faithfully "the demands of the Gospel and the social doctrine of the church," he said, and become "architects of development for the common good." "The workplace and the executive offices can become places of sanctification through everyone's commitment to build fraternal relations among business owners, managers and employees, while encouraging shared responsibility and collaboration in the common interest of all involved," he said. Highlighting their call to be "missionaries of the social dimension of the Gospel", the pope told the business leaders that while it is important to be close to those suffering poverty or financial difficulties, it is not enough to simply offer charity. "It is necessary to direct economic activity in the evangelical sense -- that is at the service of the person and the common good," the pope said. "In this perspective," he said, "you are called to cooperate in order to foster an entrepreneurial spirit of subsidiarity, to deal with the ethical challenges of the market and, above all, the challenge of creating good employment opportunities." The pope called on the union also to reflect on the crisis of youth unemployment and to create new job opportunities because those who do not work "not only do not bring bread home but also lose their dignity." In this regard, businesses, employers and those involved in the world of finance, he said, must "not fail to act with competence, honesty and sense of responsibility" for the common good of society. "Economy and business need ethics in order to function correctly; not just any kind of ethics, but an ethics that places the person and the community at the center," he said.